Yes, that's right. You have us to thank for the massive stereotyping of gay men and women. Happy Throwback Thursday. 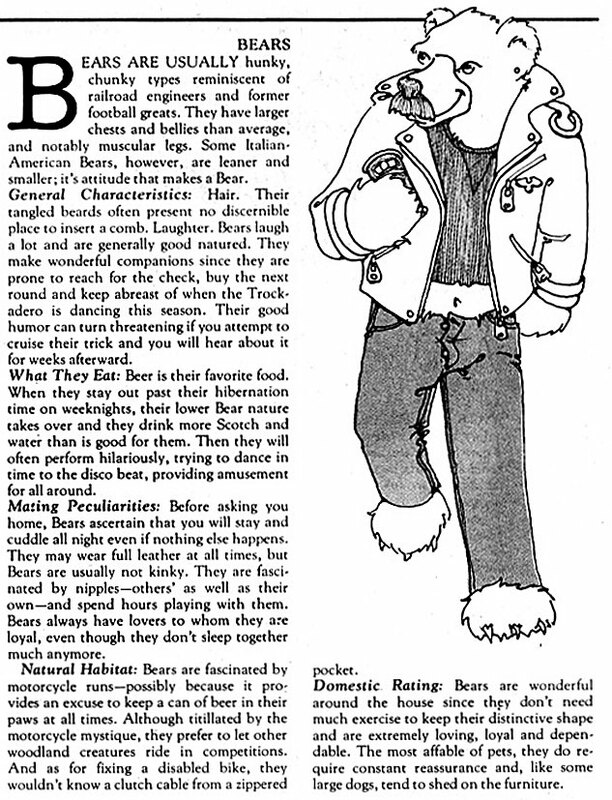 There seems to be some discussion about who actually coined the term "bear" as a descriptive for some gay men. Some claim it was Richard Bulger, who, along with his then-partner, Chris Nelson (1960–2006), founded Bear Magazine in 1987. Nope. It was us. Bulger and Nelson were smart enough to make a cottage industry of it. Arguably, the first usage was by George Mazzei in his article "Who's Who at the Zoo?" in the July 26, 1979, issue of The Advocate. 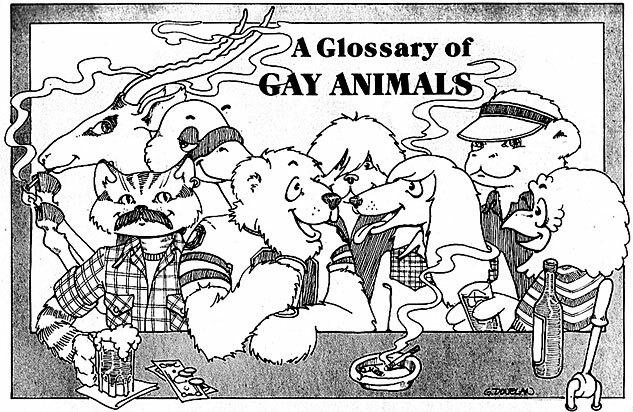 Beautifully illustrated by talented longtime Advocate illustrator and cartoonist Gerard Donelan, the article went on to blithley categorize other gay men and lesbians as types of animals in the zoo. It was a simpler time. Is it funny now? Does it hold up? That is for you to judge and comment on. Above, excerpted from The Advocate, July 26, 1979.